Without dismissing the downside risks, I remain cautiously optimistic about the global economy’s prospects. In the dog days of summer, Milan is quieter than many European cities. The locals are away, and, unlike Paris or Rome, tourists do not take their place. Here and elsewhere, people, businesses, governments, and markets take a break, decompress, and reflect. Europe’s economic problems will still be here, waiting for us, in September. And when summer ends, uncertainty about key issues will be the order of the day – and not only in Europe. Largely unanticipated protest movements in Turkey and Brazil have raised questions about the economic and social sustainability of emerging-market growth. The fires in Bangladeshi garment factories have raised new questions about the governance of global supply chains. In the United States, the Federal Reserve hinted at “tapering” its quantitative-easing policy later in the year, and a kind of global carry trade based on monetary conditions in advanced countries started to unwind as a result, causing credit tightening and market turbulence in emerging economies. This is probably only a preview of the complexity of the exit from the post-crisis assisted-growth model that has prevailed in the US, Europe, and now Japan. A possible political impasse in the US in September over the budget and debt ceiling complicates the outlook further. 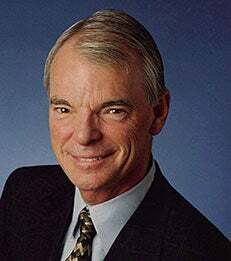 A. Michael Spence is the William R. Berkley Professor in Economics & Business.